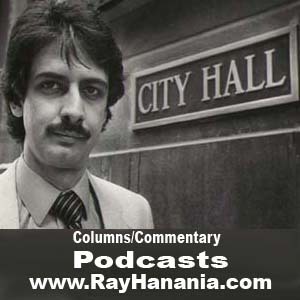 Ray Hanania's column commentary podcast of his weekly column in the Des Plaines Valley News, Southwest News-Herald, The Regional News, the Reporter Newspapers and IllinoisNewsNetwork.com. Topic: Who is to blame for Illinois' financial problems, the elected officials or the Illinois residents who can vote but don't? Most said they understand my logic that imposing “term limits” on elected officials strips voters of their right to decide who should represent them.